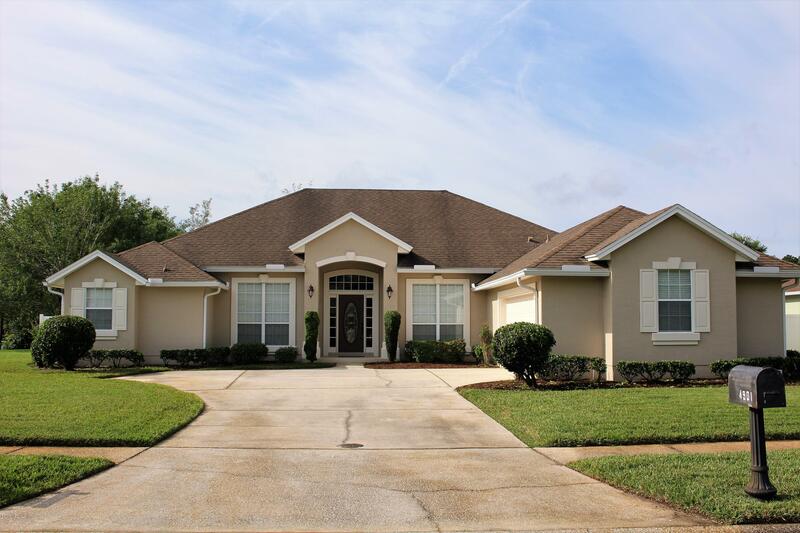 Fantastic 2-story pool home on large 1/2 acre corner lot. 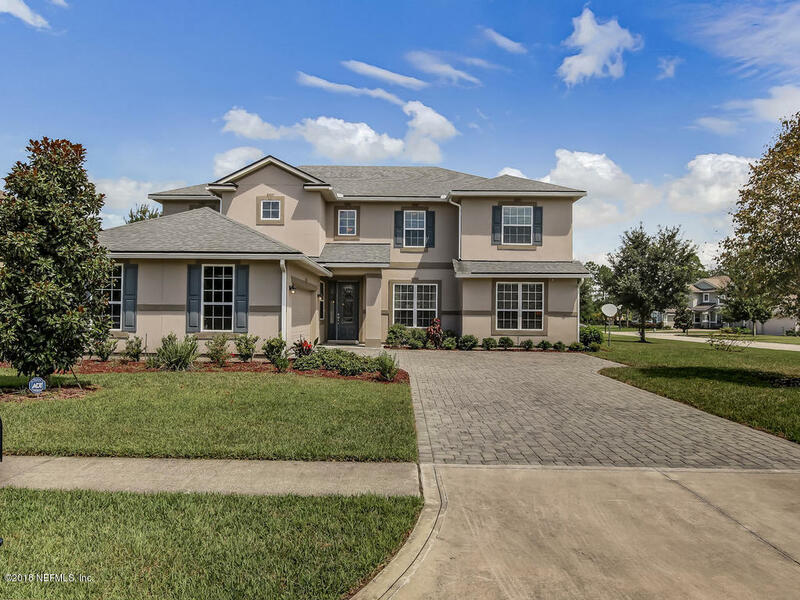 Beautiful home has the perfect floor plan with master suite, separate office, and guest room downstairs. Other three bedrooms and bonus room upstairs. Owners suite has double tray ceiling, slider to lanai, walk in closet w/custom closet system. Soaring 2-story family room. Covered lanai w summer kitchen, pool/spa, side entry garage & stucco w/stone exterior. Arched doorways, lighted recessed niches, upgraded lighting, wood floors, ceramic tile, gas fireplace, custom blinds, & ceiling fans. Gourmet kitchen has 42 inch honey maple cabinets w/crown above/below, pull out shelves, under cab lighting, black hardware, island, nook, breakfast bar, granite, & walk in pantry. Roof 1. 5 yr (2017). Newly painted. $4k carpet allowance. Fabulous 2 master bedroom suite floor plan- one on each level - the piermont floor plan built by richmond american. This is the best of both worlds with 2 master suites (elevation ''a''), and the opportunity to provide special extended family living space on the first level. The tax records are incorrect regarding the sale price - upgrades were not included. This home is one special floor plan that offers square footage that is unique. The ceramic tile flooring on the first level is a stand out feature to be thankful for. The sensational upgrades include the gourmet kitchen, a chefs delight with beautiful granite counter tops, an island, stainless steel appliances to include a double oven, two pantries, a buffet station, a decorative backsplash, 42''' raised cabinetry & a butler's pantry. 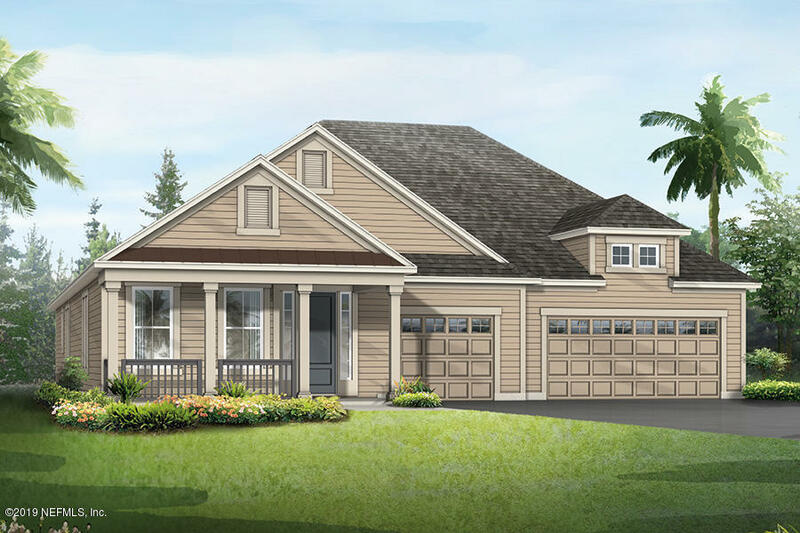 This oren floor plan is nestled on a quiet corner home site with both back and side yards and no home behind it! All main level living on the first floor includes an owners suite & oversized laundry room with a walk-in, climate controlled storage closet and cabinetry too! A soaring vaulted ceiling in the family room, kitchen & breakfast nook punctuating the heart of the home, keeping everything bright with natural light. Butlers pantry with wet bar leads to separate dining area and flex space that can be used as a study, library, living room or music room-the possibilities are endless! All secondary living is upstairs including a loft, oversized bedrooms with a jack-and-jill bathroom and additional guest suite. Enjoy the perks of a massive covered lanai also. Come tour this home ready now! Just listed! 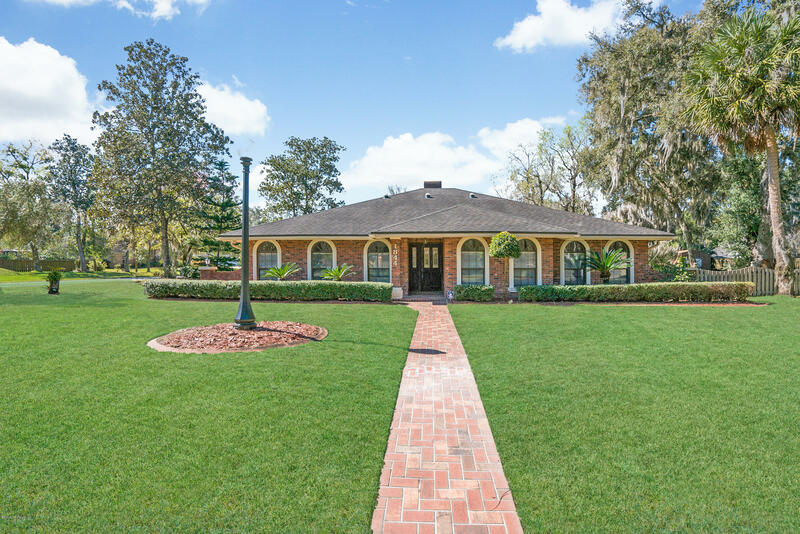 Incredible pool home w. No cdd fees!!! Built in 2016. Huge corner lot w. Fully fenced yard! This home has everything! Paver salt water pool w. Full light features & bubblers, heated jacuzzi, & fire pit make this backyard a dream! Existing plumbing for outdoor kitchen & upgraded landscape lighting w/ 2 transformers! 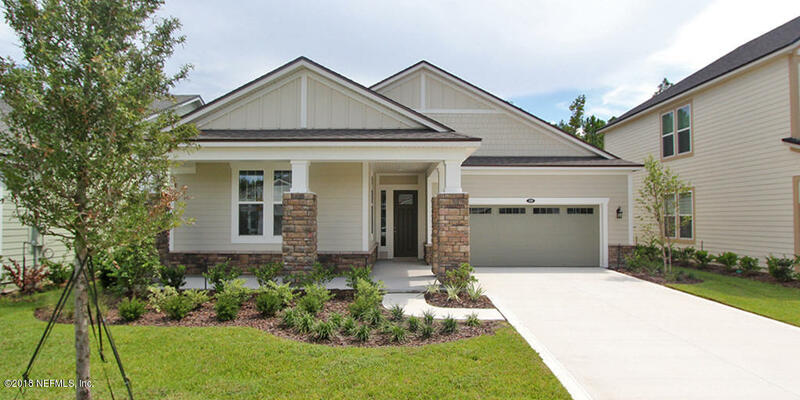 This model home floor plan has wood-look tile floors & tons of upgrades! Leaded glass door allows natural light to flow through home! Gorgeous kitchen includes beautiful granite countertops, glass tile backsplash, & 42'' cabinets w. Crown molding! Motion faucets, massive walk-in pantry, stainless steel appliances & vented hood! Fridge included! This home sets the bar! Amazing master retreat w. Master deluxe spa bath is a must see! 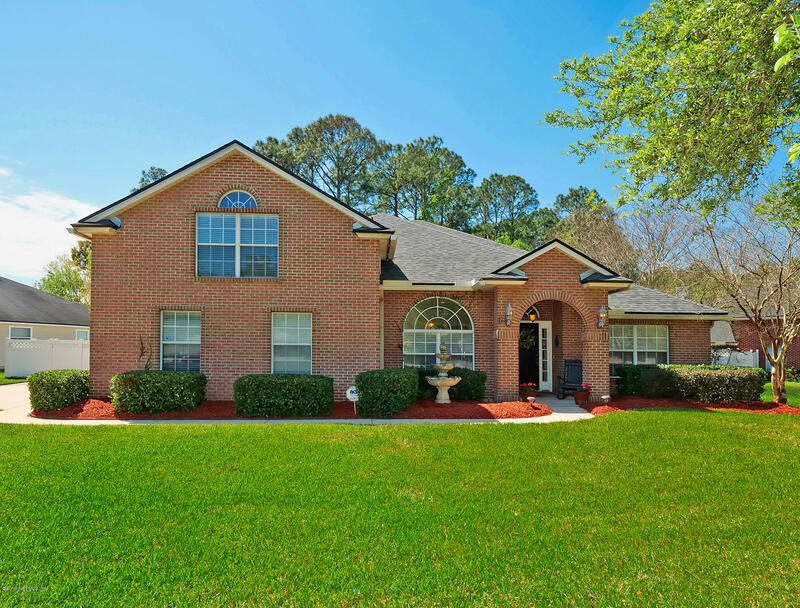 Own this fabulous, 4 bed/3 full ba all brick pool home on a37 acre corner lot in julington creek! Low hoa dues & low cdd fees w/great amenities! A+ rated st. Johns county schools! 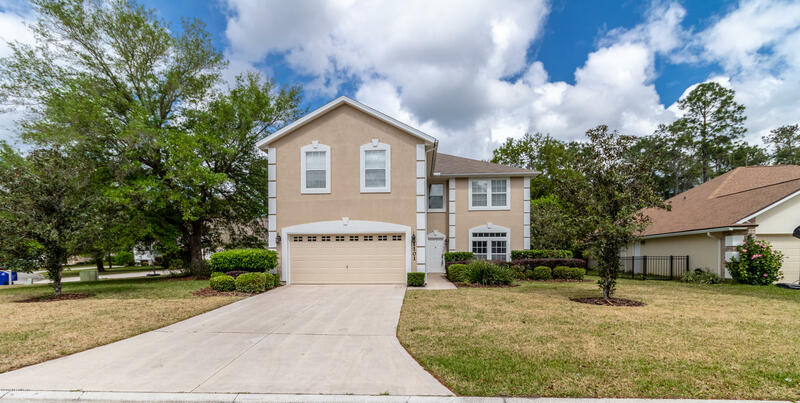 Features include a formal dining rm, office w/french doors, downstairs master, eat in kitchen w/granite counters & backsplash, open to the freshly painted fr. The 4th br upstairs includes a walk in closet. Family room w/wood flrs, fp & built-ins. The home has a new 50 yr architectural shingle roof, newer ss appliances, a remodeled master bath w/quartz counters, walk-in shower & garden tub. Master w/newer wood flrs. Gorgeous outdoor living w/paver patio, large heated pool, sep hot tub/spa on the covered lanai & a fully fenced backyard w/updated white vinyl fencing w/preserve views. Courtyard entry garage & more! 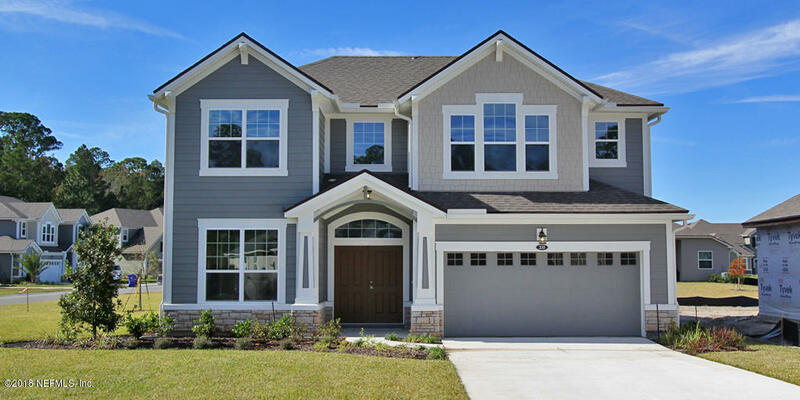 No need to wait for new construction or pay cdd fees, this 4 bedroom 3 bath home is ready now! Freshly painted inside and out and new carpet. Designer finishes include gourmet kitchen with upgraded 42' cabinets, granite counter tops, wall oven, trey ceilings, upgraded light fixtures and extensive crown moldings. The open floor plan is perfect for entertaining complete with formal dining and living rooms. The spacious master suite features a trey ceiling, sitting room with french doors, perfect for an office or nursery, and two closets. The master bath is fully equipped with dual vanities, garden tub and walk-in shower. Additional rooms include 3 secondary bedrooms and a family room. The oversized covered lanai opens to a large backyard that will accommodate most pools. Get ready to move into this quiet, peaceful and friendly home that is located in the swiss oaks community. This home is well maintained with more than enough space to entertain inside and out. Updated kitchen with granite counter tops, gas stove and a breakfast nook. Family room has beautiful wood burning brick fireplace. Garage is heated and cooled so it can be used as a work shop. The back yard offers shade on warm afternoons with a nice breeze from the river. The patio has paver stones and also has wired surround sound out by the fire pit. No hoa and a plus schools.